This book was just a mess. The characters were hot and cold throughout the book with histories that we never get to see. Jordan had so much going on and at one point his room looked the set of A Beautiful Mind but do we get to see why he is this way..NOPE! We learn that each character in the story has somewhat of a strange past or strange family history and even though these pasts definitely seem relevant to the story we never learn more than just a few details. This really bothered me because I felt like I was missing something huge. Not to mention the fact that the whole story seemed to be based on a certain characters family and we are just left hanging. Like I said the Dan, Abby, & Jordan spent more time fighting with each other than actually building this long lasting friendship we are expected to believe. I didn't buy their friendship at all. When things got tough they just gave up and ran away from each other, that does not sound like best friend material to me. The story itself was okay I suppose. We have the creepy factor brought in by the kids staying in the newly renovated dorms that used to be an asylum. This is what initially caught my attention. 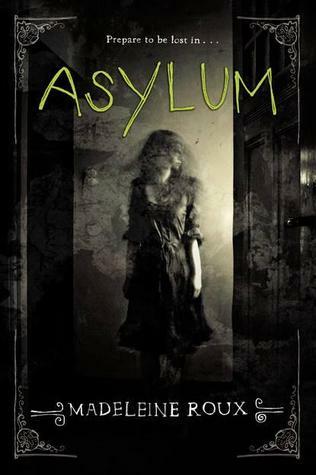 I mean asylum just screams creepy, but this story didn't do a good job at delivering. When I read thrillers I want a lead up that leaves goosebumps on my arms. This didn't do that. From the get go we are thrown into the thick of things and we are just supposed to believe that Dan is creeped out. Again I didn't buy it. I need more time to find clues, to feel like something is breathing down my neck, and to jump when I hear a scream. The one thing about this book that did give me goosbumps were the pictures. I received an ARC copy of this so quite a few pictures were left out of my copy, but the ones that were there were CREEPY! I have never seen what an asylum looks like and if these pictures are any indication I am truly creeped out. I loved that the author included these throughout her book. If the story had been tighter and the character believable I think this would have been an incredible addition and would have made her book stand out in the crowd. Unfortunately this book didn't work out for me. What I read was a weak storyline, an ending that sort of made sense, and characters that needed to just find new friends. I'm thinking I might want to stick with adult books when I want creepy. Kennedy has been afraid of the dark since she was a little girl, but that fear is nothing compared to coming home one night and finding her mother's lifeless body on the bed. 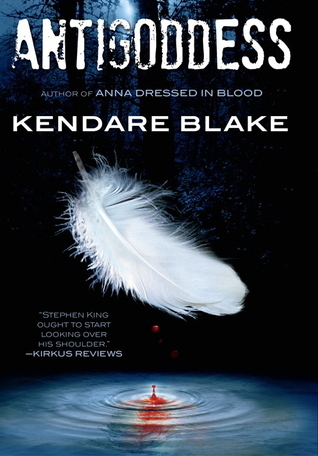 Weeks later, on her last night at home before leaving for boarding school, Kennedy woke up in a strangled scream as two guys storm in her bedroom destroying a vindictive spirit that was trying to kill her. The same spirit that may have killed her mother. Kennedy knew that her life would never be the same without her mom, but never in her wildest dreams could anything prepare her for what comes next. The Legion is a secret society forged hundreds of years ago. In ever generation there are five members. They were chosen by a previous family member to be taught and trained and vow to protect the world from evil spirits and the demons that control them. Kennedy must follow in her mothers footsteps as she joins Lukas, Jared, Priest and Alara as they look for clues that will lead them to a weapon that will banish the demon, Andras, whom their ancestors had raised long ago. It's funny, a few years ago you couldn't pay me to get near a book about demons much less actually read one. These days paranormal is one of my favorite genres. I may have come along way since then, but once in awhile a book will come along and still manage to scare the hell out of me. Unbreakable is one of those books. Kami Garcia is a strong writer. She definitely has some skills when it comes to writing vividly frightening and terrifying scenes. It wasn't so much as gore then it was unnervingly eerie and freaky. I've never had much of a comfort zone for true horror, so it may not be as bad for those of you who don't scare easily, but for me, this was pretty much freezer-worthy stuff. I'm not looking forward to the nightmares that will surely follow, but dame, that sure was some impressive chills. The story-line is fast and consuming. I liked the idea behind the Legion and the history of how it started. It's not exactly a new concept, but I liked Garcia's take on demon lore and the way she entwined the spirits with ever new clue and piece found. I also liked the team of characters she put together. Each of them have a special specific skill of expertise to assist them in fights and in hunting, but what I liked the most about them was even though they were all trained to fight off the supernatural (besides Kennedy) they're not overly perfect and still make enough mistakes a long the way. Their flaws make them more real and easy to connect with. My only real issue with this book was the relationship part of the story. There is a love triangle, but that's not what bothers me. It's the way it instantly shaped. Jared and Lukas are twin brothers who both like Kennedy and she in turn likes them both as well, but here's the thing, it felt liked it moved to fast, giving it that flat and uneven flavor. While I thought some of the moments between our main protagonist and one of the brothers was indeed sweet, it just didn't feel like enough happened between them nor did they know each other well enough for it to be that meaningful and intense. Add in some jealous-angst, family drama and a blame-game and unfortunately it ends up being more cringe-worthy instead of swoon-worthy stuff. With that said, I still really liked all the characters. Kennedy, Jared, Lukas, Priest and Alara are great individually but they are even stronger when together. They have a natural chemistry when they work as a team and the banter and lighter moments reminds us that they are still just teenagers and not just a group of kids who are destined to hunt and kill off paranormal encounters and stop an evil demon who is trying to take over the world. Everything that Kennedy goes through after her mother's death is all new and shocking and she played that part well. Throughout the entire book she doubts herself and has a hard time believing that she's even apart of a group of supernatural demon hunters. Unusually I would find that an annoying quality in a character, but if I was Kennedy, I'd probably feel the same way. Lukas was very easy to like the minute we meet him. He's an upbeat kind of guy, sweet, positive and reassuring. Sadly I did have some issues with him later on in the story though. Jared is the opposite of his twin brother, he's more brooding and serious. The guilt of his past still haunts him and he tends to push people away. Priest was one of my favorites. He has an adorable enthusiasm for his inventions and wants to prove his worth in the group, but I already think of him as one of the biggest assets. Alara is beautiful and a badass. She has some attitude but thankfully it didn't take her long to warm up to Kennedy, which is a good thing since there's already enough aggression in this book. All in all, Unbreakable is a promising start in a new thrilling and exciting series. I may not have loved it the way I wanted to, but it definitely had it's moments. That ending was also very different then what I'm use to in other books. I don't want to elaborate to much since it would be a spoiler, but I was genuinely surprised with the way the outcome unfolded. Their ultimate decision added a deeper conflict as they must eventually face the consequences that will inevitably follow. And I'm hooked enough to want to know what happens next! 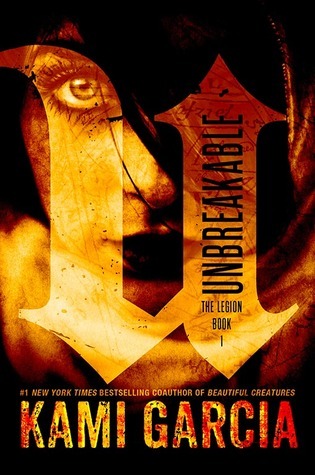 Thanks to the wonderful people at Little Brown we have one copy of Unbreakable to giveaway to 1 lucky reader! Just fill out the Rafflecopter form below to enter! I fell in love with Kiersten White's writing after reading Mind Games and you can imagine how thrilled I was after I found out she was writing a book about Egyptian mythology. I ended up having a love/hate relationship with this book though which I was not expecting. The part I loved was the Egyptian mythology. I loved the little tidbits that were placed at the beginning of each chapter and I loved learning about Isadora's family. I am still fairly new to this mythology so it really captured my attention. What I didn't love was all the high school drama. The romance and selfish tirades in the beginning of the book really turned me off. I really wasn't expecting Isadora to be so selfish and whiny. There were many times in the beginning of the book where I just wanted to reach in and slap her. From the way the book progressed though I am guessing the author wanted us to feel this way. I was hoping the main plot of the book would have been more involved with the mythology, but the main plot point in my opinion was Isadora growing up. And let me tell you she needed to grow up a lot. I get that she felt slighted and she was angry, but my goodness she was a whiny brat 3/4 of the book. The addition of the Greek Gods through me for a loop. I won't give anything away but I just want to say that I am confused. I don't see where they all fit in together and why a certain character was brought in. I would have liked the story to maybe take the reader into more about this particular character and what it means to Isadora's family, but we are just left hanging. The story and characters all feel very incomplete in my opinion. Yes the mystery is solved, but not until the very end does this happen and honestly nothing exciting happened throughout the whole book until the end. If I had one wish I would have wished for the story to have started in the middle and then continued for about 6 chapters after what was supposed to be the ending. I think White hit her stride in the middle and I really wish it would have happened sooner. The reason for my 3 star rating is because I really did enjoy the ending. It finally gave me the mythology I wanted and the scary Gods that I craved. I still enjoyed White's writing and even though I wasn't a fan of the overall storyline by the end I was hooked and can honestly say I wanted more. Wow! 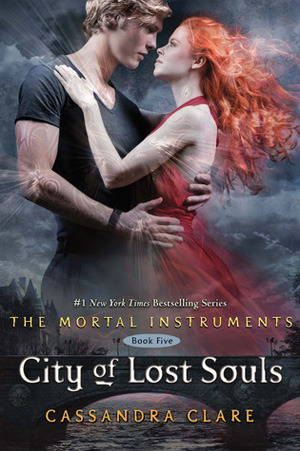 City of Lost Souls was awesome! This was a testament to how far Clary would go to save the man she loves, would do anything and everything to right wrongs even if they weren’t what she thought they should be or how. Being the fifth book in The Mortal Instruments series, I was elated that it turned out to be just as good as the first four. So much happens in this book. There is non-stop action and it’s full of love and romance! COLS is told through multiple pov’s which at first, I wasn’t fond of the swapping around, but unexpectedly ended up really liking it. 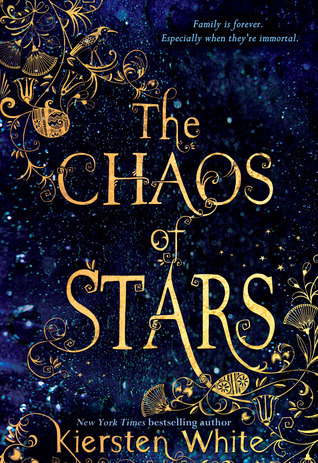 Cassandra Clare executes the change in just the right spot, and just when you are settled into one pov, you’re onto the next. I loved reading from so many different characters perspectives. I felt I understood them better and what they were facing or going through. I’m going to break this down nice and easy, and avoid spoilers as best I can. Alec was facing his own personal demons. Being in love with an immortal could do that anyone. And he got some advice from an unlikely source, but it was helpful to him and overcoming his issues. Perhaps it will come back and bite him in the rear, but I fully understood his dilemma and sympathized for him. Simon is such a guy. The best “boy-friend” a girl could have yet is oblivious when affections are thrown his way. Of course, his instinct is to think he isn’t worthy and is misreading them because there was no way a beautiful, fierce, strong-willed woman would find him anything other than a monster. Since that’s what his mother has deemed him. He too, is fighting an inner battle. He wants to speak with his sister, but he’s afraid of losing her also. Isabelle is once again fierce, but there’s a whole new path she walks in this book. She may seem cold and tough, but when she opens up to Jordan, and liquid courage is flowing, Izzy transforms. I was soooo elated when this event took place, because she was the only one who seemed to be a free spirit, without a love interest. Jordan and Maia were so darn cute! These two wolves were basically at a crossroads and finally were able to talk and work through their feelings for one another. I honestly wasn’t sure if they would get passed their past maturely. Jocelyn’s maternal instincts were on high alert, but being too protective has actually set Clary off, making big decisions behind her overprotective mother’s back. Jocelyn has her hands full with Clary, and I think she intends to do right by her, but she needs to let Clary be a woman. Let her make choices for herself. Advice is one thing, but preventing an iron-willed girl from doing something she feels passionate about, will only cause waves in their relationship. Once again, I just loved Clary in this book. Not only does she prove time and time again how strong she is, not just physically, but emotionally. Torn between doing the unthinkable and her emotional and physical love for Jace, Clary surprised me. She was able to set her deep emotional love for Jace aside and act without regret. AND that is one strong protagonist. She would go to hell and back if she had to. What can I say about Jace and Clary that you haven’t already thought? They are a rockstar couple! It is inevitable they belong to one another. I felt so bad for Jace and the situation he had no control over. Being bound to your enemy is the worse possible scenario. Even though he wasn't his true self, Clary knew he was in there, her real Jace. This group of friends went above and beyond to get their Jace back. And it was evident how much he is loved by them. I love that these characters have grown so much and have formed such a deep connecting bond. And that ending!!!! Gah!!! I can’t wait for the next book! In the real world, when you vanish into thin air for a week, people tend to notice. After his unexpected journey into the lands of the fey, Ethan Chase just wants to get back to normal. Well, as "normal" as you can be when you see faeries every day of your life. Suddenly the former loner with the bad reputation has someone to try for-his girlfriend, Kenzie. Never mind that he's forbidden to see her again. Now that Ethan is back in the real world, all he wants is to be normal. Take his girlfriend, Kenzie to a movie or dinner and figure out how to be a real boyfriend without being harassed by the punks at school or worry about some fey looking to cause trouble. But normal doesn't last very long when your sister is the Iron Queen and your life is fated with your nephew, the Iron Prince. Annwyl is a Summer fey who was banished and lived with the Queen of Exile, Leanansidhe, in the Between. But Annwyl is Fading and Keirran is out there searching for a cure to save his beloved. But at what cost? Annwyl will do anything to find him, she scared that he will bargain for her life and she wants to see him one last time before she's lost forever, which is why she has come to ask for Ethan's help. Ethan, Kenzie and Annwyl have to travel to New Orleans to the Goblin markets in hopes to find Keirran, but that is just the beginning of their journey to find a way to save Annwly before the Fade takes her. You know, it's starting to get a little harder to write a review for these books. I'm always in such awe of Kagawa's writing skills that I find myself sounding like a broken record on repeat. I wish I could find new words to express my love for this fantastical world and amazing characters. 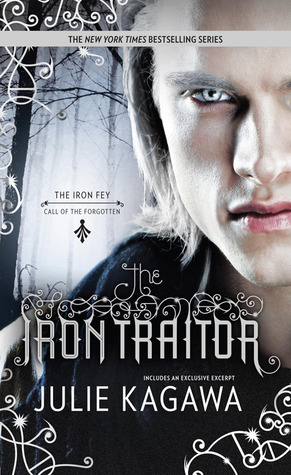 The Iron Traitor is the second installment in the Call of the Forgotten series. It's thrilling, riveting and it will make you stand up and beg for more. I absolutely heart Kagawa. 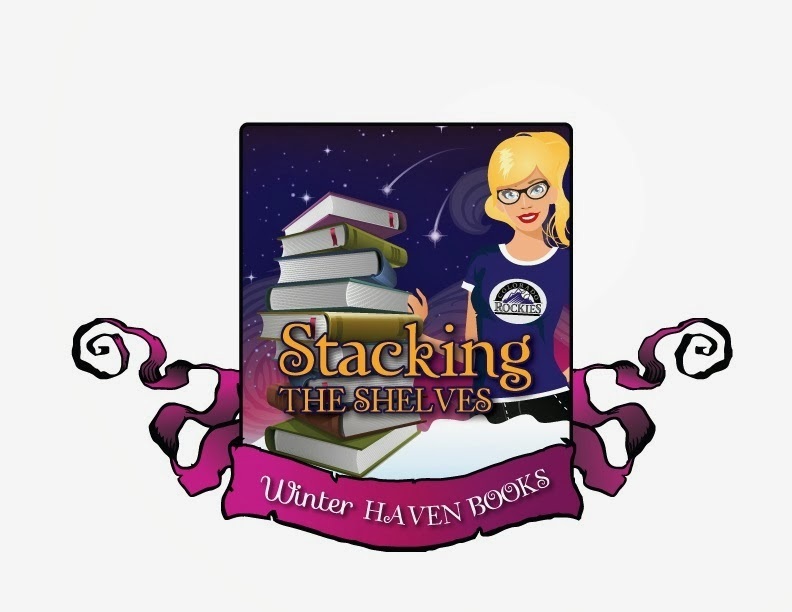 Seriously, her books are like venturing to a land filled with wonder and excitement. There is danger at ever corner. We never know if we'll meet a character who's friend or foe and the unpredictability of it all always keeps me on my toes and ready for anything. That's what I love about these book the most. Anything and everything can happen. I've learned a long time ago to always expect the unexpected in these books and I love that it still applies. Wondrous adventure, long journeys across the courts, bargains and deals for your need and fighting dangerous and animated creatures, all in the name of love. Yup, I'm in Kagawa's world once again and I never want to leave. There is never a dull moment in Nevernever and I simply adore the way this book consumes my ever thought while reading. There just isn't another experience like it. The story line may seem quite simply. 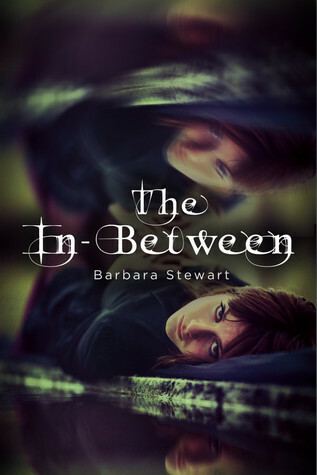 Annwly is Fading, losing herself to the Forgotten, the evil that is spreading across Nevernever and the Between and Keirran will do what ever it takes to find a cure and save her life. 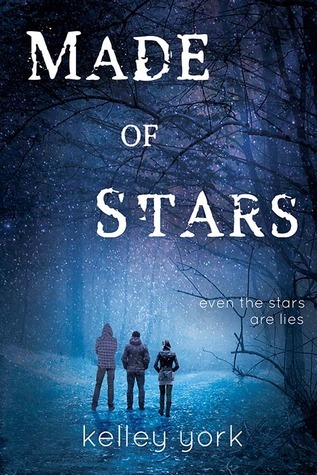 But not everything is not as simply as that in this universe, and now Ethan and Kenzie have been tangled up in the Fey world once again, but this time Ethan and Keirran's destiny has been tied a little tighter. The Oracles Prophecy has come for them at last but their destiny is still unknown. I've said this before, but I'm gonna say it again. I absolutely love and adore all of these characters, even the evil dudes. I doesn't matter if their human or Fey or creature. They are all exquisitely developed and brilliantly portrayed. ~Poor Ethan. He really wants to be this normal kid but he'll never be able to shake the Fey world, no matter who he pushes away. He has a lot of unresolved issues that are bottled up in that head of his. He's been through so much since he was a little kid, and yet through it all, he's still willing to walk into danger and be ready to fight so Keirran can find a cure to save the love of his life. He may want to be normal, but I think he's doing a badass job of being who he truly is. ~Kenzie is a great match for Ethan. I love that she's the voice of reason and she doesn't put up with what Ethan thinks is the right thing to do. I love that she's not afraid to really live and that she doesn't let anyone dictate her life. She's may not be well, but she's strong and brave and proves it time and time again that she's stubborn and fearless and she'll do whatever it takes to see this through. 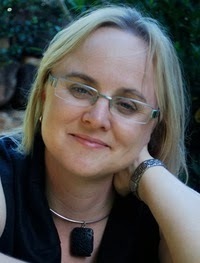 ~Keirran is an intense and passionate character. There is no obstacle, creature or land to far that he wouldn't venture to save his love. All he wants to do is keep Annwyl alive. He knows that they have a forbidden love, but he's willing to let her go if he knows that she's happy and safe. Like father, like son, the only difference is, Keirran is still young, rash and is only thinking of his desires and doesn't understand the consequences of his decisions and how it will affect Nevernever. I'm all for the power of true love, but I think that Keirran may have went a little to far and beyond. Yes, it's romantic and beautiful in many ways, but to sacrifice so much, hurt other so deeply felt extreme, insane and desperate, especially at the end, which completely shocked and rattled me. ~I'm so glad that Kagawa didn't forget to add our other beloved characters. Ash, Meghan, Puck and Grimalkin. It just wouldn't be the same without them. Oh and I can't forget about Razor, he's still as adorable and funny as ever. All in all, The Iron Traitor is yet another magical and fantastical installment in the Call of the Forgotten trilogy. The writing is unstoppable and all-consuming. This world is fearless and unflinching with heart and soul characters that will go to the ultimate depths for the ones they love. Addicting, heart stopping and a pure joy to experience. This is the stuff that makes escape possible and I can't wait to get my hands on the final installment in this wicked and wonderful world. Extraordinary! 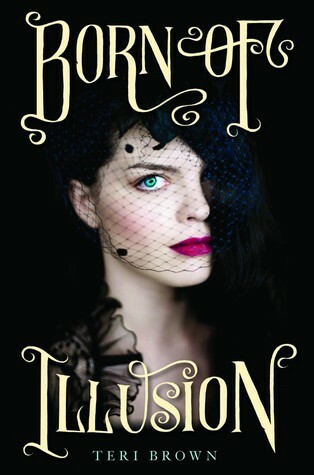 Born of Illusion is definitely not your typical book and while I do have a few problems with it I certainly did like it. 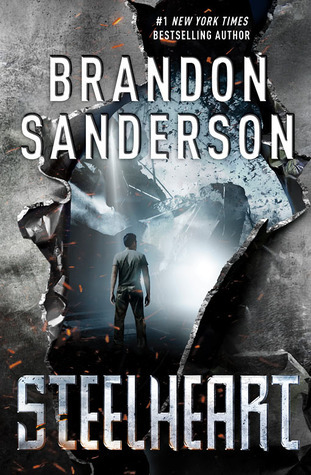 I don't think it will leave a lasting impression on me but it was quick read that kept me interested enough to want to read a sequel if there will be one. Anna is a magician and I loved this. She can get out of handcuffs, create amazing illusions, and trick just about anyone with her skills. It kind of helps that Harry Houdini is her father, well so he mother says anyway. Anna along with her mother have lived a very strange life always on the run always trying to make ends meet and always trying to find their next stage. They are both performers the only difference between them is that Anna actually has an extra sense about her, she isn't a fraud. Anna has been having visions since she was little and she can sense how a person is feeling by merely touching them. No one knows she can do this not even her mother for she knows that if people knew she would turn into a one person side show. When she starts having stronger visions and her mother ups their performances everything changes and Anna is caught between trying to saver her insane mother and trying to create a life for herself. This book really was a lot of fun. I enjoyed reading about all the magic tricks and it really brought something new at least to my bookshelves. I haven't ever read anything like this before. I think the part with the magic was my favorite and because of that alone I would definitely pick up a sequel if one is planned. I know I should know if this is a series, but I sometimes like going in not knowing and honestly 9 times out of 10 it will be a series. Anyway though this was fun and I did enjoy the characters for the most part. The romance was a little on the side which is nice, but I think with this one it could have been a little more in your face. I'm not a fan of love triangles and there is a small one here, but it wasn't enough of one to really turn me off. I think since the book was old fashioned and set in a different time probably influenced the amount of romance, but personally I would have liked to have seem more development in that area. The one big thing that bothered me though with this story was that it felt too crowded. We have a storyline that deals with jealousy between Anna and her mother, the whole Harry Houdini segment, her abilities are another string, and not to mention the romance, crazy cult type organization, and interesting neighbor downstairs. See what I mean crowded! Nothing really connected either. I would have preferred for the story to have taken 2 maybe 3 of these points and just dealt with them. The drama between Anna and her mother was enough in my opinion to give the story a good arc and then through in Houdini and done! I really don't think the added mystery and her visions were needed. Also throughout this book we hear Anna's voice and while I did like it I got so tired of her endlessly asking herself questions. I know I read the same question at least 20 times and the answer wasn't given until the very end. Instead of asking herself all these questions I wanted her to go out and find the answers! The ending is pretty easy to figure out if you take in all the clues. I was surprised by one thing, but I had the villain picked out from the beginning. This didn't ruin the story for me since my focus really wasn't on that part of the story. So yes for the most part I did enjoy this story, it has magic and all kinds of fun tricks throughout and even with my problems I still liked Anna enough to want to read more. I will definitely keep my eye out for a sequel. "How do we trust this guy?" I asked. "Best to never trust a weapons merchant, my friend. They all sell to both sides, and they are the only ones who win if a conflict continues indefinitely." 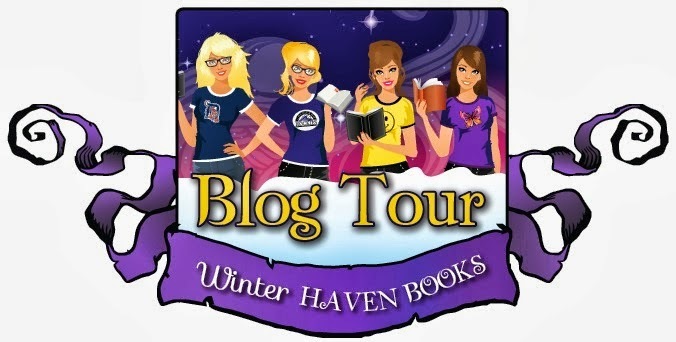 Blog Tour: Interview Paula Weston! 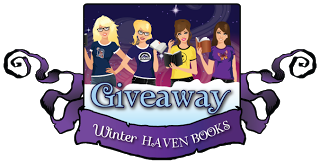 Today on WinterHaven Books we have the lovely Paula Weston with us as part of the Tundra Books Blog Tour! Paula is one of my favorite authors and I am so excited to have her here today! 1. 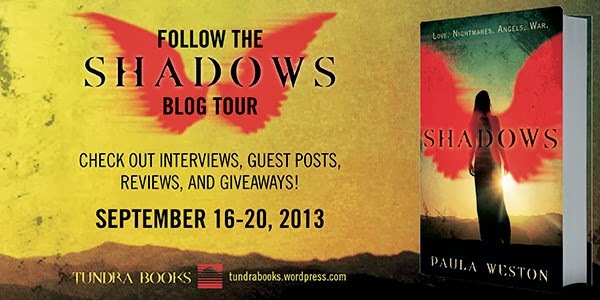 Ever since I read Shadows I have been crossing my fingers and toes that it would be published in the US. Congratulations on this huge accomplishment!! What are your plans for the release day? Thank you. =) Aside from grinning all day and doing the occasional happy dance, I’ll probably spend time editing Shimmer (book 3). I’ll also no doubt do some work for my day job. Either way, there will be a glass raised at some point in the evening. 2.You really brought something different to the table when you wrote this story. How did you come up with it? Have you strayed from your original idea? 3. I know we have previously talked about this series being 4 books, is this still the case? Will they all be published in the US? Yes, still four books. Tundra Books have contracted the first two and I’m hoping there is enough interest in Shadows and Haze in US and Canada that they’ll pick up the rest of the series. Tundra is a wonderful publisher to work with and I’d certainly love to continue the relationship beyond the first two books. 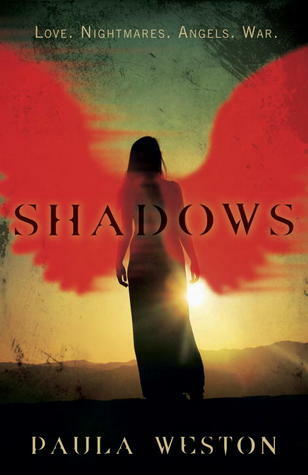 4.With so many books being made into movies I have to say that if I heard Shadows would be joining the list I might just faint! Do you think this could be a possibility?? I think might just faint too. =) I’d love to see Shadows as a film (I have the Foo Fighters soundtrack ready to go! ), but it’s one of those things over which I have absolutely no control. To be honest, I’m not even sure how these things come about. There are so many great books out there for filmmakers to choose from, and you never know what they’re looking for at any given time (or how they find it). 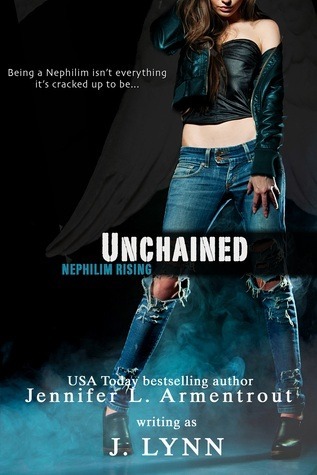 But there’s quite a trend for YA urban fantasy at the moment, so who knows? 5. Is there a way for us to beg you to fly over here and have a book signing tour?? I’d love to do a book signing tour. =) Actually, I’m coming to US for a lightning holiday in October. The bulk of the trip will be visiting friends in Idaho, but I’ll also be hanging out briefly in San Francisco and LA, and crossing the continent to meet the Tundra team in Toronto. It’s not a book signing tour as such, but I’m hoping to pop into a few bookstores while I’m in the country. 6. For fans who have already read and loved Shadows can you share something from Haze the second book in the Rephaim series? Paula thank you so much for stopping by! Wait! *rereads answers* Cliffhanger??!! Oh Paula why?? LOL! Okay I think I might need to plan a trip to LA in the near future and beg for more information LOL! I am so excited for you that this amazing series will be published in the US and I can't wait for all my friends to read it! Our Recap for the past few weeks! That's it for us this week! Please leave me a link so I can see all your pretties! Wow what a series! I loved every single book, I can't even begin to express how much fun I had in this world. 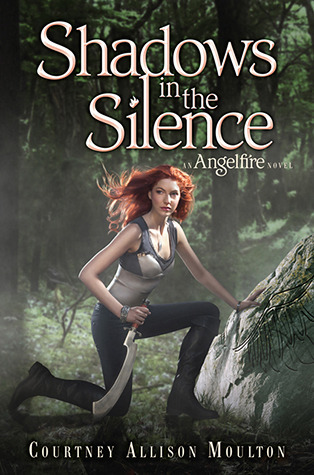 The first book, Angelfire, was a good intro into the world of Angels and reapers with a promise of romance to come. The second book, Wings of the Wicked, was jammed with action packed entertainment but it also focuses and polishes the romance off beautifully, which the sap in me still cheers for. As for the final book, Shadows in the Silence, it has an amazing amount of angelic lore, epic battles and blazing romance, giving the fans the perfect conclusion to a much beloved series and one that will be very much missed. At the end of Wings of the Wicked, Bastian may have been finally defeated by an unlikely ally, but celebration is far from reach. We learn that Bastian was just a pawn and that Merodach is the one who is after the Preliator soul. And Will was in the way. He was bitten by a Rikken and is rapidly dying. Ellie, in a mad attempt goes to Cadan to summon a Grigori in hopes to save her Guardian's life. The time has come. Ellie must find a way to stop Sammael and Lilith plan to wreak havoc in the human world and unleashing hell's demonic reapers once and for all. But in all battles, sacrifice must be made, lives lost and hearts broken. Who will make it out alive? When it comes to the last book in a series, I always get so nervous since I have all these hopes with the way I want it to end. I'm happy say that I had nothing to be nervous about. I can't think of a more perfect ending for a series. Reading these books back to back makes me feel more attached to these character more somehow. I loved every single one of them. I loved their personalities, their connections, the bonds they have with one another, their journey, their purpose and what they each brought into this epic story. Ellie is such a fierce character, one that I was so proud of. She been through so much in this long journey and while she may be fated as an Archangel, her humanity made her beautiful. She never gave up, she never let go, even at her worst she fought till the bitter end for the ones she loves. Will owned this entire series for me. He owned my heart. I've never seen such devotion and loyalty in a character before. He has fought beside Ellie, protecting her for five hundred years and loving her for just as long. His inner turmoil with himself between what is right and wrong and what he wants was a pull and push dizzying experience, but it was truly something to see these two hearts finally come together as one. When they're together, no matter the scene, it's those moments I held on to a little bit longer. I've always had a soft spot for Cadan, but I think I like him even more in this book. I enjoyed what he brought into this story and what he meant for these characters. I never really felt there was much of a 'love triangle' here, so I never thought of him as much as a threat to Ellie and Will, but he had his wicked moments and still made me smile. Bottom line, Shadows of Silence is a heart pounding ending that fans will stand up and cheer for. I could gush about this book all day, but I simple couldn't love a series more. I'm so sad to see it end but I'm excited for the possibilities of more to come from Moulton. She is an amazing talent and I can't wait to see what she comes up with next. Till then, I have these amazing books to come back to when ever I'm in the mood for kickass characters with badass skills that make me light up happy. Brilliantly done! I don't even know where to start with this review. This book was nothing like I expected and it was much more than I could have ever hoped for. David Leviathan is a mad genius and if I ever see him I will bow before his awesomeness. Two Boys Kissing is not just a story about two boys kissing to top the world record for longest kiss, it is about the struggle others have experienced and the people who have paved the way for Craig and Harry to be able to do this in public. We the reader get to hear the thoughts of so many people who passed on and it made me really think about the people I have lost throughout the years. What are they thinking? Are they still with me? What do they think of my choices? I found out while reading this that everybody has a purpose and every struggle no matter the outcome will directly influence another person. Deep right??!! This is what Levaithan did in this book and I can't say I have ever thought things like this after reading. When I started this book I had no idea what I was getting into and my goodness this book pulled at my heartstrings. I have no idea how even to describe the intensity I felt throughout this book. I know I am a bambling mess but I honestly have no idea how to go about explaining how amazing this book is. It is my top favorite read of the year and I know without a doubt it will be in my top favorite of all time list. That is a very hard list to make and I only have 3 books on it, but Two Boys Kissing is on it. Okay I am just going to leave this review begging people to read it. I have sat at my computer trying to think of what to say about this and I can't find the words so please PLEASE go out and read this book. It will make you think, cry, scream, and jump for joy. It is everything a book is supposed to be and more. Oh and this quote will make any book reader swoon. This has to be my favorite thing ever and it comes from book titles.. Simply amazing in my opinion! 5 HUGE Snowflakes...Actually I am going to start something new. This book deserves way more than 5 snowflakes so thanks to A.G Howard and her wonderful suggestion a while back I am going to make this my first ever blizzard read! 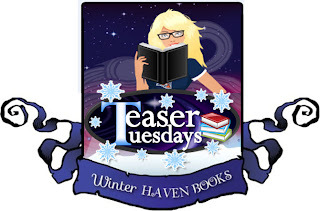 Trillion Billion Million snowflakes = Blizzard read! "He was always grinning. She wished she could slap it off his face." "Is this some manly bonding thing I can't be a part of? Are you getting matching haircuts?" TrinityDon’t leave me here... It starts with a whisper. At first Trinity thinks she’s going crazy. It wouldn't be a big surprise—her grandpa firmly believes there’s a genuine dragon egg in their dusty little West Texas town. But this voice is real, and it’s begging for her protection. Even if no one else can hear it...ConnorHe’s come from a future scorched by dragonfire. His mission: Find the girl. Destroy the egg. Save the world.CalebHe’s everything his twin brother Connor hates: cocky, undisciplined, and obsessed with saving dragons. To save the Fantastical Fossil museum from the overwhelming bills, Trinity Foxx's grandfather hopes that his latest discovery is just the ticket that will bring in an audience from around the world. Found trapped in a glacier in Antarctica, a golden egg was found. The last Dragon egg. Trinity, being a 16 year old teenager and the responsible one of the two, is skeptical of this new discover but when a voice inside Trinity's head seems to be linked to the egg, Trinity is intrigued but frightened that she could be losing her mind, just like her mother did. 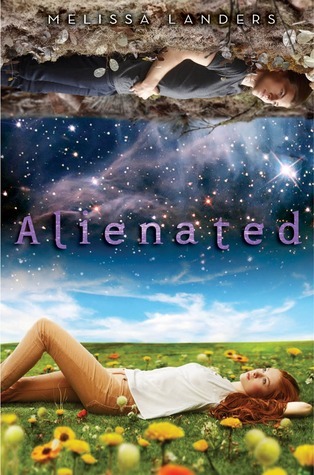 Connor and Caleb are estranged twin brothers who are from 200 years into the future. One brother is sent to ensure the safety of both Trinity and the Dragon egg and the other was sent to destroy them. Wow, what a fun read! I really loved the concept to this one. 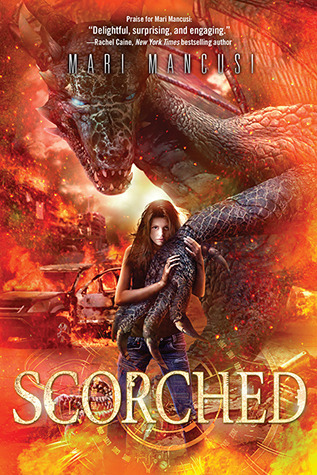 I wasn't sure what to expect when I started Scorched, all I knew is that it combines some of my favorite genre's, dragon-fantasy and sci-fi, so it was an even greater surprise that I ended up really loving this one. Mancusi's writing is exceptionally strong, I've only read a couple of her other books before, and while I thought they were decent, I didn't quite connect with them like I did this one. The pace and flow is beautifully developed. At first it can be a little confusing since everything seems to be happening at once, but when the story gets going and we learn the facts with Trinity it becomes a steady stream of intrigue and wonder. It was like unwrapping a layered gift, with each new rip my anticipation and curiosity grew and I couldn't turn the pages fast enough. There is only so much I want to say about this plot-wise since I think readers will have a greater time discovering all the wonderful revelations for themselves. So, with that said, the story line does have a Terminator-feel to it, but I still found this to be a unique and fun spin on dragon lore and time travel. I loved the idea of the two brothers who were brought into the past to ensure or stop future events from taking place, with a girl who has no idea of the catastrophic events that are about to enfold. It's exciting to learn the brothers true intentions, what the Dracken organization is and get a glimpse of what Trinity and her dragon, Emberlyn (Emmy) means to the future, both the good and the bad. It's a solid concept and completely entertaining from start to finish. I really enjoyed all the characters. They are all wonderfully developed and easy to connect with. ~Trinity is a responsible head strong girl who is determined, brave and caring. Her life suddenly became something out of her favorite video game, Fields of Fantasy, the minute her grandfather showed her the golden egg uncased in glass. I loved how she processed everything from disbelieve to awe-struck. It's a lot to take in knowing that your the Fire Kissed and that your responsible for both destroying the entire world and saving the race of a mythical creature in the same heart beat. ~I don't want to say to much about Connor and Caleb. They mystery around them was one of the funnest part of the book to discover. They each have their own stories so it's hard to tell which of the brothers we can really trust. They have a lingering cloud of doubt that surrounds them till we know for sure what their true purpose is. But, I will say that I loved both brothers equally. Connor is a hunter hero in his time, dedicated to avenge his father death. He's kind and patient and a natural leader. Caleb is more harsh, cool, collected and confident. They do however share a passion and obsession when it comes to their missions and what it will ultimately mean for the entire world. The dragon, Emmy, was surprisingly amazing to see. Dragons have always been such a fascinating creature with so much potential to create. I really loved the way Mancusi portrayed them as both dazzling and deadly. At this point the romance is very light, but well on it's way into shaping into a love triangle between Trinity and the brothers. Since I like them both I don't have a team-flag to wave just yet, but I am curious to see how things develop in future books. All in all, I kinda loved this one. The concept is smart and fresh, the story is action packed and exciting, the writing has an all consuming flavor and these characters will have you invested at minute one till it's heart-pounding conclusion. For fans who want some heat and heart with their fantasy escape, this one goes out to you. I can't wait to see where Mancusi takes this next! A great read! Full Cover Reveal for Rome by Jay Crownover!